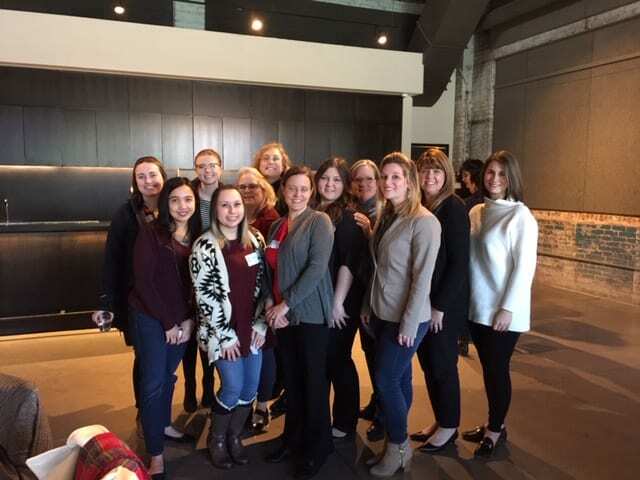 As part of Women’s History Month, Tori Marie Stover—Fiscal Support Analyst for the Biomedical Engineering Department—offers a summary of the Women in the Workforce Annual Conference held on March 6, 2019 and the various sessions that were presented. The first session was with Keynote Speaker Merrissa Pires, VP of Human Resources at Rickett Benckiser. We were asked to speak with another attendee about who we are at our best and worst, and how we remain our best during our worst times. This allowed us to reflect on who we really are, and made us think about our passions, and what makes us feel powerful. She asked us to think about how a child would perceive us; children tend to see greatness in everything, which was very thought provoking. Then she provided us with a quote, “Gallup analysis reveals that people who use their strengths (passions) every day are three times more likely to report having an excellent quality of life, six times more likely to be engaged at work, 8% more productive and 15% less likely to quit their jobs.” This engrains that how we perceive ourselves, and the things we are passionate about, have a huge impact on us. With that said, she pointed out that women often tear themselves down, when they should be lifting themselves up. This is a great reminder for anyone; your quality of life matters, and you shouldn’t be so hard on yourself. We chose between two workshops: Discover Your Purpose: Emi Cardarelli, Director Club Sales and Sustainability at Unilever and Discover and the Impact of Storytelling in the Workplace: Shannon Petersen, Director of Human Resources at Hilti. I chose to attend the latter, since the former sounded similar to the keynote speaker, and I wanted to learn something different. This presentation’s purpose was to give us a deeper understanding of the power of storytelling and how to use it to connect with co-workers, customers, and supervisors. Shannon shared her story of a medical scare that forced her to spontaneously go on short-term disability leave, and how her supervisor was supportive and encouraged her to come back to work afterwards. By the end of the story, the whole audience felt a connection to Shannon and her experience. As an exercise, she had one half of the room ask each other a set of questions, then the other half answer a different set. The first half were simple questions about favorite actors, and pets, while the second half was about our goals and other personal questions. Her point was that the more complex and personal a question or story is, the more in-depth the answer or reaction will be. As a result, you will feel more connected to the other person. She uses this method to hire employees, or sell a product, but it can be used in any situation where you are interacting with another individual. Silvia Siqueria, Diversity and Inclusion Officer at Hilti, brought a panel of presenters to discuss the importance of workplace diversity. At first, they began with gender diversity, but it quickly began to include age and race as well. They answered several questions from the audience about how to handle situations, ranging from what to do when someone is clearly excluding you for being different than them, to when someone is trying to make you comfortable, but ends up making you more uncomfortable. The example given for the latter was, an African American woman had started a position and had items removed from her list of duties, because her supervisor didn’t think she would be comfortable handing it. All of the responses were thoughtful, but the most helpful piece of advice, was to write it down and have a conversation about it later. Tell them how it made you feel and ask if this was their intention. Silvia said from her experience doing this, she usually gets the response, “Of course not, I didn’t even think about it that way”. This opens a dialogue about the issue, and allows the other person to understand how their words or actions can be misconstrued, so they can be more thoughtful about the way they behave in the future. I think this piece of advice can be helpful to anyone who is having a conflict with a co-worker or supervisor. The day ended with a drawing for some goodies, and closing words by the MC, Kristy Meinzer, Senior Manager of Performance Content, and VMLY&R.